Empty tuna can (washed of course! 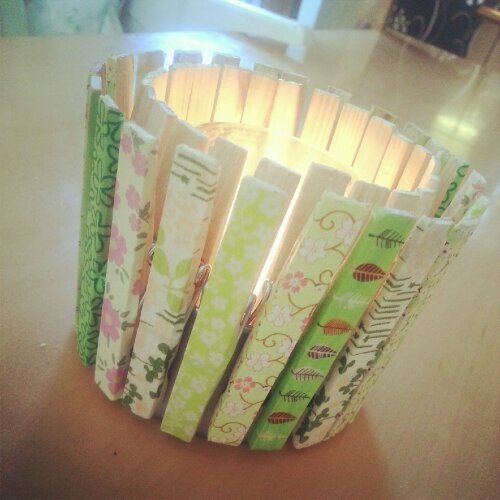 ), bundle of wooden clothes pegs and a glass tea light holder. Genius! I chose to add washi tape to my pegs to match the colour in my kitchen, but left natural, the pegs are still as rustic and attractive. I love a spot of paper craft!